We have just completed the great fifty days of Easter and as I write this, on Pentecost Sunday, the powerful story from chapter two of the Acts of the Apostles is very much on my mind. We celebrate Pentecost as ‘the birth-day of the church’ and we read about how the disciples were all together, in Jerusalem, praying and waiting for the gift Jesus had promised them. Whether they had any inkling of what to expect we do not know, but they soon found out! ‘Suddenly from heaven there came a sound like the rush of a violent wind’ (Acts 2:2). And there was fire and they were all able to speak in different languages and other people visiting the city were able to understand them. Jesus’ promised gift is realised in a manner which must have far exceeded the expectations of even the most faithful disciples. This is new life: sudden, unmerited, irresistible new life. The new life of the church. New life for individuals within the church. New life through the power of the Spirit of God. 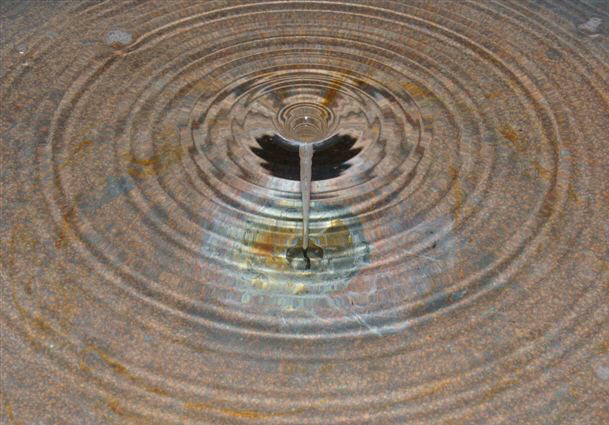 At Pentecost we pray for a fresh out-pouring of the Holy Spirit on the church today and, as we are constantly being reminded, that means on us the people of God, not on our church buildings, beautiful as they are! Across our North Cheltenham Team Ministry we make our prayer for the Holy Spirit to empower us for ministry and mission in this part of God’s kingdom. We especially pray for the Holy Spirit to be at work in us as individuals and in our various church communities, as we continue to develop our vision for North Cheltenham. On Saturday 26th June, PCC members and others from across the Team Ministry will meet at St Nicolas’ for a ‘Team Vision Day’ which will be facilitated by the Revd Andrew Braddock, the Diocesan Missioner. The day will begin with some exploration of the thinking behind the vision statement (reproduced below). We will then work in church groups, spending some time reflecting on our own local situation. Remaining in those church groups we will then do some ‘vision thinking’: asking what we hope our local church community might be like in one, three or five years’ time. Using the four areas of the vision statement we hope to be able to bring away from the day some emerging priorities for each of our church communities to work on. In this way we hope that the vision statement will become a tool for empowering the mission and ministry of the local church within the family of the North Cheltenham Team. It is very important to surround this whole process with prayer: please pray especially during this month for those who will attend the Team Vision Day and for all that comes from it. It is also very important that every one of us is open to the Holy Spirit working personally in us: prompting us to be involved in this process of exploration and discernment and equipping us to respond to whatever it is that God asks of us as a result. During the first week of June, Colin Smith (a former organist and choirmaster at St Nicolas’) will be bringing a choir from his church in Norway to visit Cheltenham. On Friday 4th June at 5.30pm the choir will sing Evensong in Gloucester Cathedral and then on Saturday 5th June at 6pm they will sing Evensong in St Mary’s church in Prestbury. They will also be present for the Sung Eucharist in St Nicolas’ on Sunday 6th June at 9.30am. Anyone is very welcome to attend any of these services; it would be good to be able to show our visitors a warm and supportive welcome! Do come along to meet them! Six people from across our Team were amongst a total of twenty-eight who were welcomed into the full communion of the Anglican Church in a service at Tewkesbury Abbey on 8th May. It was a liturgy rich in symbolism as Bishop John, the candidates and congregation journeyed together, from the welcome and presentation of candidates at the great west doors of the Abbey, to the font for Baptisms, then on to Confirmation, Admission to Communion and Reception into the Church of England, in the great central space in front of the chancel arch. After sharing the Peace, everyone moved into the Chancel to take their places for the Liturgy of the Eucharist, celebrated at the High Altar, at which the candidates were the first to receive Holy Communion. Finally, they processed down the Nave, to the applause of everyone present. Our love and congratulations go to Richard Angove and Julie Latchem from All Saints, Elizabeth Heathcott from St Lawrence, and Rachel Cruickshank, Emma Hammond and Anita Claydon from St Mary. Please continue to hold them in your prayers as they continue to travel with us in the way of Christ. Julia has almost completed her three years of ordination training on the WEMTC scheme. Following an extended placement in Winchcombe she has returned to worship with us in North Cheltenham, mainly at All Saints’, which is regarded as her ‘sending parish’. Julia will be ordained as a Deacon in Gloucester Cathedral on Sunday 27th June during a service which begins at 10.15am. Anyone is very welcome to attend the service. After her ordination, Julia will return to the Winchcombe Benefice where she will serve her curacy on a non-stipendiary basis. Please keep Julia in your prayers as she prepares for this significant moment in her own pilgrimage of faith. 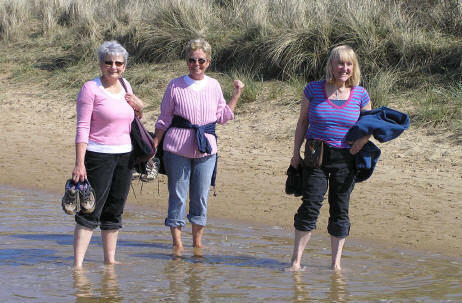 At the Annual Meeting of Parishioners on 25th April 2010 Mary Turner and Margaret Holman were elected as Wardens with responsibility for St Mary’s, and Margaret Compton and Susan Bolton were elected as Wardens with responsibility for St Nicolas’. I have just experienced Walsingham for the first time. We arrived at the Shrine and checked in to the Milner Wing. Supper followed in the Refectory, with a choice of hot meals and cold. Afterwards Raymond and I explored the village surrounding the Shrine. As darkness fell we returned to the Norton Room, beneath the Refectory, and joined the fifteen other pilgrims in a merry evening of light-hearted conversation and anticipation. On Saturday our group met in the Orangery with Fr Stephen Eldridge. We proceeded to the Holy House for our First Visit, followed by Mass, celebrated by Fr Stephen, who would officiate in larger Masses, presided by Bishop Lindsay Urwin, the current Administrator of the Shrine. We then had free time, before Bible Study in the Barn Chapel, led by Fr Peter. We reflected on the Gospel reading to be used in the Mass on Sunday in the village’s Parish Church of St Mary. After lunch we had more free time, and some visited a nearby beach. At 5.00 pm we attended Shrine Prayers with the visiting pilgrims from other parishes, followed by Concelebrated Mass of Our Lady, when Deacon Jennifer assisted Bishop Lindsay – a privilege for the only Deacon present that weekend. For the first time we heard one of Bishop Lindsay’s very learned and amusing sermons: an education and a pleasure for all. Later followed the highlight of that day: the Address and Procession of Our Lady. 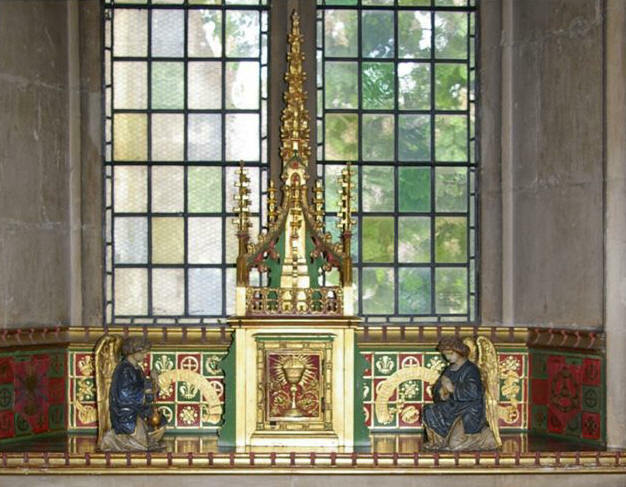 This involved all the 200 pilgrims, later processing with candles out of the Shrine Church into the recently landscaped gardens, around the many metres of footpaths and back into the Church, singing the Walsingham Pilgrim Hymn, which relates the history of Walsingham from 1061 almost to the present day. After this Mass followed the Laying on of Hands, with an opportunity to make confession. We repaired to the Norton Room until retiring for the night after a very moving and eventful day. Sunday found us again in the Orangery for administrative feedback and reflection on the pilgrimage so far. We then proceeded to the parish church for the 11.00 Mass with all 200 pilgrims and the village congregation, after which we met the Vicar of Walsingham, Fr Banks, who was wearing the bright red cassock appropriate to his office as a Chaplain to HM The Queen. After lunch Raymond and I visited the Shrine Shop and others in the village. Later on we were with all the pilgrims at the Procession of the Blessed Sacrament and Benediction, with a sermon from Bishop Lindsay, and a hymn to the music of The Lincolnshire Poacher! After supper our own pilgrims, led by Deacon Jennifer, gathered for Stations of the Cross, which started outside then reverted to the indoor route when it started raining. Finally this was followed by Rosary and Intercessions in the Holy House, when we said our own prayers, led by Fr Stephen. On Monday we gathered in the Holy House for the Last Visit, to formally say goodbye to Walsingham and to each other. Previously I was dubious about embarking on pilgrimages, thinking this would be a condensed Alpha course. It is definitely not even comparable. The two-day programme was about education, nurture, worship, and glorious hymn singing. The procession in the evening of Our Lady was really beautiful and something I shall treasure for ever. What struck me was that all the pilgrims were in Walsingham because they wanted to be there, and for the same purpose. It was lovely to mix with our fellow pilgrims in the North Cheltenham Team. Only two of us in the Team were new to Walsingham, and we both found it very emotional. I would like to say again how grateful I am for the many messages of congratulations that I have received on being appointed as a Canon of Gloucester Cathedral. Also to thank all those who were able to attend the service of ‘Collation and Installation’ on 2nd May. It was quite an occasion, with four people being installed and so everyone had to sit in the nave which meant that it was nice and full. The drawback to this was that very few people actually saw the installation itself! 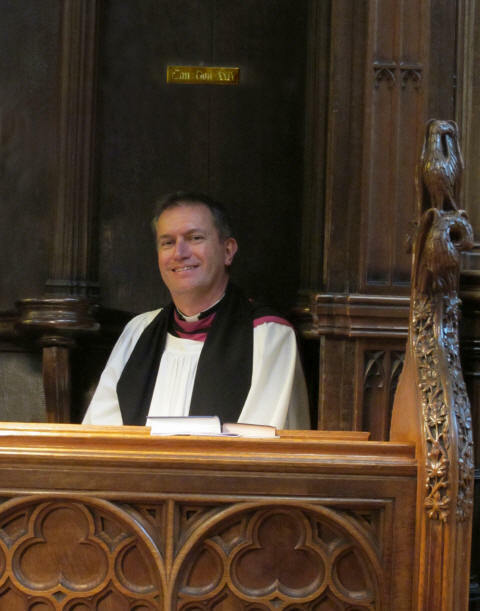 This was the part of the service when I was taken by the hand and led by the Dean to be ‘placed’ in my stall (number 24 if you are looking for it!). However there was a ‘photo opportunity’ after the service and the photograph below shows me duly ‘installed’! I have been asked by quite a number of people to explain exactly what being a Canon is all about. Originally ‘canon’ was a title given to all clergy who were on the official staff of a diocese. Gradually the title was limited to those clergy belonging to a cathedral or collegiate church and the canons would share in the revenues of the church and were bound to sharing a common life. Today cathedrals have ‘residentiary canons’ who live in the cathedral close or nearby and undertake regular duties in the cathedral. 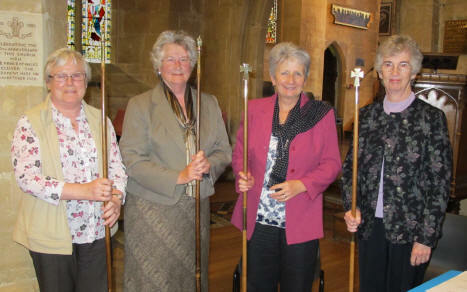 They are members of the Cathedral Chapter which is effectively the cathedral’s governing body. ‘Honorary canons’ do not have the same legal role in the cathedral and are not required to undertake regular duties in the cathedral. Our cathedral has a College of Canons which consists of the Dean, the Suffragan Bishop (the Bishop of Tewkesbury), the Archdeacons, the Canon Theologian, eighteen ordained Honorary Canons and six lay Honorary Canons. The College of Canons meets three times a year and, according to the Cathedral Constitution, is ‘required to receive and consider the annual reports and audited accounts of the Cathedral and to discuss such matters concerning the Cathedral as may be raised by any of its members’. The College of Canons also meets to elect a new bishop (although it is actually presented with one name only). Quite a lot to live up to! However it is an honour for which I am very grateful and I look forward to being a member of the College and meeting with my fellow Canons as part of the life of our Cathedral. As I have said before, I also feel that this honour recognises the significance of our North Cheltenham Team within our Diocese and so, in a sense, I think that it is something which we all share in. This year the Education and Nurture group ventured into unknown territory by buying into a Lent Course produced by another Diocese. The material didn’t become available until the end of January and we planned to begin using it during the third week of February. We took a risk! Love For The Future surpassed most of our expectations. It was a series of short films on DVD produced by the Diocese of Bath and Wells and made use of group discussion materials, bible study notes and pointers to other resources. It claimed to be ‘not just another course about climate change’. And it wasn’t! It all hung together well, with the theme running through all the weeks. It had many practical messages. We could see how we could relate it to everyday life and many of us kept thinking about it through the week. Generally the structure of the sessions worked well. Some of the material was really challenging – but it was good to be challenged! The photographs of the countryside on the DVD supported the main message but they also reminded us that the inherent goodness of creation had not been obliterated. We identified links between our respect for beauty of creation and the way in which we treat others. Lots of different ‘real’ people were interviewed on the DVD. Some of their comments were really powerful. The modern hymns and poetry of the Celtic tradition really spoke to us. Helpful prayers were included in all the individual session sheets, making the course a meaningful and spiritual experience. We liked getting together with people from other parishes. We liked working together as a group. Most groups felt that the choice of location (a busy road) for the narration was distracting and confusing for the ear. It was accepted that a point was being made, but we felt that many people, not just the hard of hearing, would find their concentration slipping due to the confusion of the background noise. There were some technical hiccups. DVD technology proved less versatile than the older video players and posed challenges for households with older televisions. Bearing in mind the environmental messages that came from the DVD, it now needs someone (or a group) to take responsibility for recycling and sustainable living across the whole Team, preferably someone with a real interest or expertise in the subject. We all thought that it was easy to talk about the environment but more difficult to put our thoughts into practice. We felt that the church should be setting an example. Postscript: This year, we were delighted to welcome three ‘first-time’ Lent Group leaders. 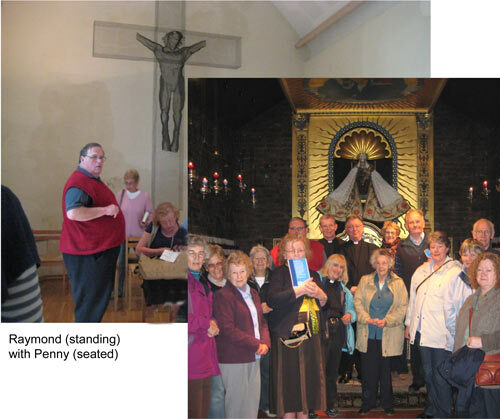 I took on the role of itinerant visitor and, in the space of six weeks, managed to visit every group. I was impressed and humbled by the expertise and versatility of the leaders and by the commitment and contributions of all the group members. Thank you once again to all who took part. Can you identify this? The photograph was taken in St Mary’s church one Sunday morning. Five minutes earlier it didn’t look like this, and five minutes later it was gone. Send your answers to the Editor. What has struck you most in what you have read? What question do you have for God or the author of the passage? What personal application comes from the verses? In a group you can share your thoughts with each other. Encourage one another as you share what shines out from the passage, help each other to find answers to the questions that come up. Try to look for answers in the Bible passage you have read, or what comes before or after it; let the Bible speak for itself. The study can be ended with prayer. As I re-read this passage from Ephesians using this technique, I was overwhelmed by how awesome God’s love is. My ‘light bulb’ was in reading that Jesus dwells in my heart (v17a). How amazing that ‘God with us’ (Matthew 1:23), the ‘Prince of Peace’ (Isaiah 9:5) can settle down, not just lodge, in my heart by his Holy Spirit. My ‘question mark’ is why do we as Christians struggle to grasp the extent of God’s love? Perhaps this is a question that doesn’t have an answer. I will continue to ponder this though. My personal application is to pray, as Paul did for the Ephesians, that you, my Christian brothers and sisters, and I would know more of God’s love and that His love would continue to transform us more and more into the likeness of Christ. As you read this passage from Ephesians (perhaps reading on to verse 21) what are your responses in the three areas? How do you get on using this method as you read other passages in the Bible? What about sharing with family and friends any ‘light bulbs’ or ‘question marks’. I have been refreshed by using this technique. I hope you find it helpful as you start or continue to read the Bible. There will be a Sung Eucharist for the Feast of Corpus Christi on Thursday 3rd June at 7.30pm. This is a combined service for members of St Nicolas’ and St Mary’s and will be held in St Mary’s church. On this day we give thanks for God’s gift of the Eucharist and conclude the service with a procession of the Blessed Sacrament. We are going to be spending time in June and July celebrating an event in the life of the Church called ‘Giving for Life’. Through a series of Sundays (6th June, 13th June, 11th July) there will be opportunities to learn, share and understand how God gives to us and what we need to do to fulfil our vision as part of St Mary’s. In May we raised £40 which will be shared between Practical Action and Children in Distress. Information about these charities can be found on the porch notice board. It will be the turn of the A-F team to bake for the next stall on Sunday 20th June. Our garden meeting is on Tuesday 22nd June at 3pm at Glenfall House, Harp Hill. We can stroll in the lovely gardens and are invited for afternoon tea, followed by Compline in their Chapel. Husbands are invited. We will have our usual Bring and Buy stall for MU projects overseas. If any Mothers’ Union member needs a lift or directions please mention it to me. 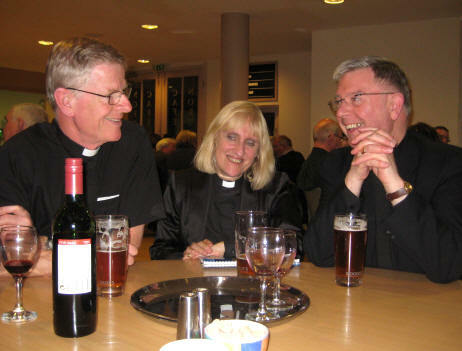 The Friends of St Mary’s ‘Wine Tasting Evening’ has been rearranged for 22nd July. Do put this date in your diary! Full details will appear in next month’s magazine. 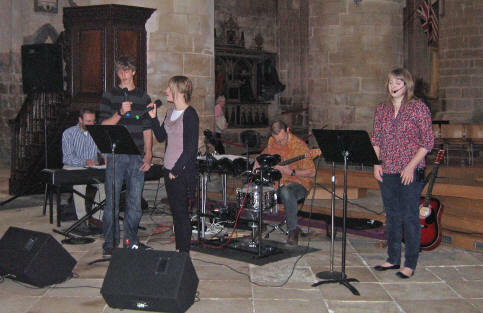 The Entertainment Evening due to take place at St Nicolas’ Church this month has been postponed. We hope to rearrange the date sometime in the autumn. More information will be given in the pew sheets nearer the time. The grand total for the parish is therefore £6,323.52. This includes £124.50 collected at the ecumenical service at the URC on 9th May. BIG THANKS from the Macaulys! Andy, Sharon and Ben are really enjoying Grace being part of family life. Grace continues to grow and adores her big brother! We would like to say a huge thank you for all the good wishes, interest, cards and gifts we have been shown and given over the weeks by so many. Grace looks so pretty in many of the outfits people have given her! Thank you again for your support, love and care.